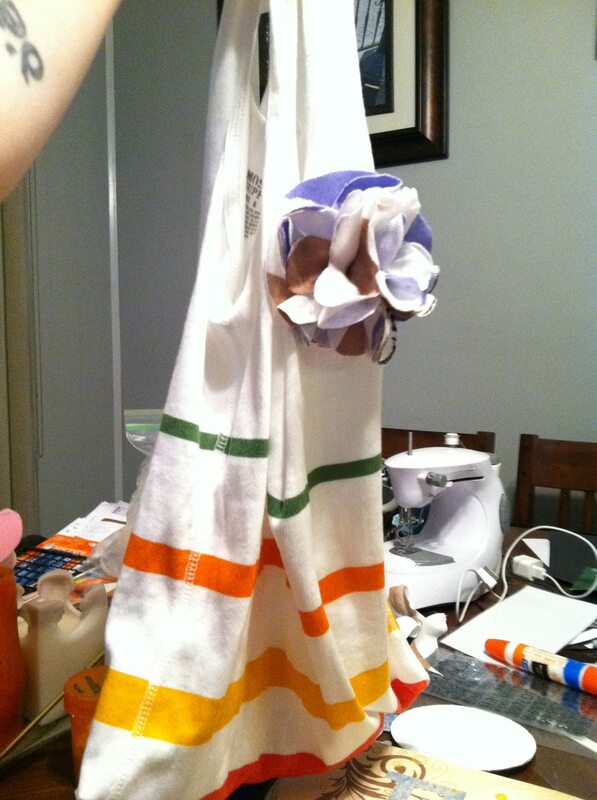 My first project was making a new bag out of old tank tops that I had lying around. I had a big basket of tops and tanks that I was going to donate and then realized what I could do with them. I still sent a few off to donation but quickly hid a stash so I could use them for projects. I immediately took a tank and made it into a purse turning the part I cut off at the bottom into a flower that I also found on Pinterest. Here is a picture of both… in hindsite I shouldn’t have marked the outside of the tank with the marker to cut the flower but hey it was my first try. I am also linking this up with the Pinterest Challenge for feedback etc….